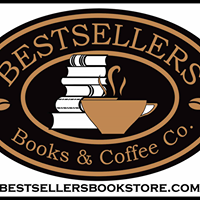 Heartbroken: A Novel (Paperback) | Bestsellers Books & Coffee Co. Mesmerized by her family's heartbreaking history, Kate uses the journals left behind by her aunt and grandmother to write a tragic novel. Although fiction, her book is based in truth, and there may be more to the story than she realizes. On the other side of town, Emily is about to set fire to her life. She’s in a dead-end job and is involved with the wrong man; she can feel herself being drawn into darkness, with horrific consequences. With nowhere to go, she finds herself on the run. Unbeknownst to each other, and with lives that couldn't be more different, Kate and Emily head to the same point on the map: Heart Island, an idyllic place in the middle of a lake in the Adirondacks, owned for generations by Birdie Burke's family. The harsh and unyielding Birdie is at one with this island, which has a terrifying history of its own. She, too, has consequences to face. Heartbroken is a tense, shattering thriller about the limits of dysfunctional families, of an island haunted by dark memories and restless ghosts, and of the all-too-real demons we must battle. LISA UNGER is an award-winning New York Times and internationally bestselling author. Her novels have sold more than one million copies in the United States and have been translated into twenty-six languages.